For most of this year I worked as a volunteer at a place in park slope called Brooklyn Game Lab. I worked with many others, some my age and some older whom were getting payed. I also worked alongside the owner of Game Lab, Bob Hewitt, who I got to know very well. I would go to Game Lab from around three in the afternoon to around 6 in the evening every Sunday. I did this consistently from around the end of October to the beginning of April. At Game Lab we work with kids and help them build important qualities by teaching them games, playing the games with them and formulating their own modifications and sometimes the kids make new games of their own. Some of the many important qualities they build include respect for one another and for the counselors, they build teamwork skills as they have to work together a lot, the kids also learn a lot of patience from losing or not winning all the games they play, but they also feel success when they win in any of the games they play. I really enjoyed working at Game Lab for a couple reasons. It feels great helping kids get become happier after a tough loss in a game they played, and as a counselor or volunteer the kids respect and listen to you after working there for around six months, consistently. Also, all the other people at Game Lab are so kind and respectful including Bob, the Owner, and Steve, who partially owns it. I worked countless hours at Brooklyn Game Lab but I think I only logged around forty. When my group first decided to do focus on homeless people in New York for our project I felt like there was not going to be anything I would learn from this project. After visiting the Bowery Residence Community I had learned so much though and it really made me see this problem of homeless people in New York in a different way. When you are walking anywhere in New York you are most likely going to see someone who is homeless and I realized when this would happen to me I would only think of how to avoid this person. Throughout this project I saw how homeless people are looked at as bums and viewed as lower by almost all people which I was not proud of because I viewed homeless people the same way. A lot of times people are homeless for reasons they could not control like having a mental illness and they do not have the proper treatment which leads them to losing jobs and they end up living on the streets. When I found out the different situations that made people homeless I felt terrible for not offering help because most of the times this people are homeless and it is not even their fault. BRC helps homeless people get their normal lives back like like this one guy we met while working on our project in BRC. He had been so excited to tell us that he had just been allowed to move to an apartment in the Bronx after a year of waiting and that really stuck with me because I got to see how BRC is changing the lives of these people for the better.That is why BRC has been such a great organization to volunteer with because of the work they do and how they help homeless people get another chance in life and I would be glad to volunteer again. This year I volunteered at a soup kitchen called Neighbors Together. It is in brownsvilled Brooklyn and it feeds people who are homeless or just in need of a meal. I thought that the whole experience was good for me because I saw that all different kinds of people came to get food. It was not just homeless people, but children and everyday looking people. I met many people while serving at Neighbors Together. One of the people I worked with was a women who had a main job and volunteered at Neighbors Together out of the greatness of her heart. I thought it was amazing how she, even though she did not have to, volunteered to help feed people who did not have any food. Another person I worked with was a guy who was born in North Caronlina and came to New York when he was 14 because he ran away from home. He said that when he got to the city he shinned shoes for a living and lived on the streets. He then went to places like Neighbors Together and got food and help from people who cared about others and he figured out that he wanted to help people like himself in the future. He now has a family with three children and works at Neighbors Together. His story really touched me because I felt that I had learned about how unfortunate some people are in their lives and how lucky someone like myslef is. I was a little scared to volunteer at Neighbors Together at first, but as I got comfertable with my surroundings and people started talking to me regularly, I was not scared anymore. I hope I can go back and I hope others will check out the website of Nieghbors Together, and maybe even volunteer there one day. For my YPI, or Youth Philanthropy Initiative, my group and I researched, visited and presented about the Non for Profit CitySquash, which provides tutoring and competitive squash to students from failing schools in New York City. We wanted to research the social issue of Failing Schools in New York City, while also incorporating a sport element into our research. After finding multiple Non-profits, we decided on CitySquash. Before our research into CitySquash, I never realized how privileged I am to go to this school and to be able to receive such a quality education. CitySquash teaches these kids important life lessons and morals, while along with winning competitive Urban Squash championships. 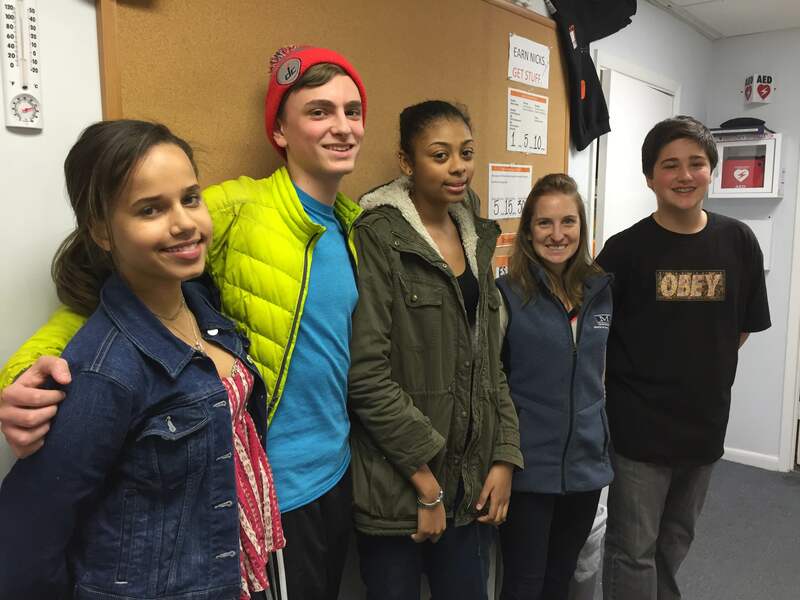 After these students joined CitySquash, their average grade point average was raised to 84 percent. Also, as of me writing this reflection, 52 students from the program had been accepted into private independent high-schools. During our site visit, we met with Alexandra Boillot (Pictured down below). She gave us a whole overview about how they run their organization, how they make sure the students are maintaining good grades by checking in on them with their parents and their teachers, and how they stick with the members in the program all throughout their middle school and high school careers, and even throughout college. And once the members are in college, CitySquash helps them find jobs and internships in professions they want to specialize in. After our talk with her, we all walked over to Fordham university to see the kids in action. When we arrived in the courts, the kids were already playing intense matches of squash. This whole experience was very informative and humbling, and I was moved by learning of and being involved with CitySquash. For our Youth and Philanthropy Initiative (YPI) project, our group decided to research, visit, and make a presentation for Part of the Solution (POTS) – a non-profit based in the Bronx that provides many services for those who can’t afford them, primarily offering food. The issue our group decided to tackle was hunger in New York City. Before this project, the word “hunger” would maybe get me to picture children and adults without food in third world countries – never in the heart of urbanization itself, all around me. However as we researched this issue further, through databases, books, news articles, and more, we found shocking numbers, up to 2 in 5 children who live in poverty and don’t get enough to eat everyday. Thus, our group decided to research different non-profits dealing with these issues. Of the many we found, we decided to settle on Part of the Solution. 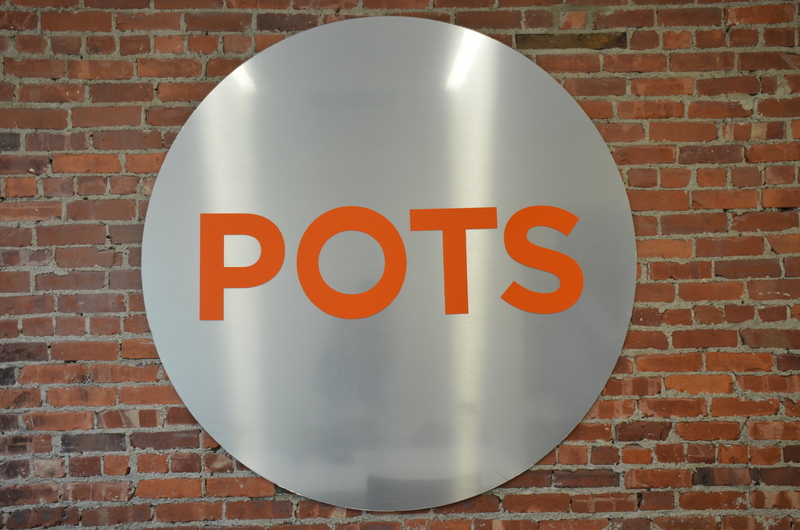 POTS is a large organization, and has provided far over half a million nutritious meals from their food pantry to those who need it, meals with fresh produce. During our research, we reached out to POTS and asked for an interview with a staff member. At the visit, we met with Jack Marth – the Director of Programs at the facility. While walking around, there were many things we saw. Other than the food pantry, the organization offers a community dining room, where those without a home or stable shelter can find a space to enjoy a meal and socialize with others, a law clinic, a postal service, a shower room, and more. Jack Marth explained to us many of the struggles that residents in the Bronx, and citywide, face, including restrictions from the government, unfair opportunities, and one of the biggest issues we had researched – the hunger cycle. Overall, this project was incredibly eye-opening in showing me how wide scale this issue is in my own neighborhood, not only overseas. For Service Day in May, I traveled with a group of other juniors to the Bronx, where we packaged food to be sent out to food pantries across the city. After watching an educational video on the organization, we went into the warehouse and split into groups, with a couple students constructing boxes, others loading ham, beef, and turkey into the boxes, and the rest packing them up and arranging the boxes of meat on a tray to be delivered out. After three hours work we packaged more than 12,000 pounds of meat. I really enjoyed the experience since I felt like I was directly contributing to the community. Though it was tiring to stand and work for three hours straight, I was impressed with the amount of meat we were able to package and send out. I felt like it was incredibly important work and would love to do it again the next year. Throughout the year, I spent time working with children for the Prep for Prep organization to help them prepare for standardized tests, as well as help them handle difficult material. During these three hour sessions, I would meet with a student in elementary school, and they would bring books of the classes they are struggling in, ranging from reading comprehension to state exam prep, and we would sit down and go over problems. During these sessions, I learned a lot about not only the art of teaching, but also about how well I understood the material I learned at a younger age. Even the most basic functions such as long division, seeming simple to me now, were relatively difficult to explain to a student who didn’t understand them because it seemed to general to explain. This process of trying to explain very general topics made me not only appreciate my teachers from my youth, but I also sympathized with the children themselves. At first, when my group decided to do teen pregnancy as a social issue, I was not very happy, as there had been several disagreements about deciding which social issue we would pursue. After having done work with my group, what was a negative attitude turned into a more positive one. I think I developed some good skills in working with groups and some public speaking skills. I found that making a convincing presentation and competing with my friends was rather challenging, but it was rewarding to see some of my classmates win the prize for their team. I think I will stay engaged with it by not becoming a teen parent. Over spring break I cooked meals for the Friends shelter a couple times. I cooked dinner, dessert, and breakfast and then delivered the meals to the shelter. When I arrived at the shelter, all of the beds were set up and I met some nice people who volunteered to work at the shelter that night. It was really great to be able to do something so closely connected to my school. I think it is really amazing that Friends’ quaker values are alive at all hours of the day, and it is helping people in need even when most people are sleeping. Living in New York, I think we all see a lot of homelessness. I pass by a man everyday in the subway who is so skinny and has a sign blessing anyone who can do anything to help him. As New Yorkers we are trained to stay away from and avoid eye contact with strangers, so it was nice for me to finally be able to actually “make eye contact” and do my part to help with the huge problem of homelessness in NYC. For service day, the 10th grade went to staten island. I enjoyed the ferry ride there and the bonding that I did with my grade. The time spent on the bus ride was a nice way to get to know my classmates that I might not otherwise spend time with. When we arrived, however, we were given a powerpoint presentation, which I was hoping would inform me about Staten island, but instead it gave us little information on staten island, the park, and the what/who we would be helping. I found it hard to give back to a community that I did not know much about or understand how my work was helping them. I wish I could have gotten more out of this experience.